Even when you try to protect the food, I have found that you often have a little rascal who will work hard at wasting it! Scooping seed out into piles is a popular one! In every case this has been a phase that eventually stops in my experience. Hello I have moved your thread to Budgie Behaviour, this type of behaviour is often displayed by a young budgie as advised they do tend to out grow the action. Or a hen will do it when trying to make a nest. Some budgies simply like to throw their seed. Young budgies in particular like to sit, lay or stand in their seed dish and fling it all over the place. In the wild, scattering seeds around helps ensure there will be food available when the birds are foraging. What your budgie is doing is an instinctive behavior. Generally with domesticated budgies they outgrow this tendency as they gradually learn their food is replenished regularly. Additionally, if you give your budgie measured amounts of food rather than filling its dish, you will have less waste and there is less opportunity for your budgie to become overweight. A budgie needs 1 1/2 to 2 tsp of a quality seed mix per day in addition to its pellets and a variety of fresh vegetables. Last edited by FaeryBee; 02-19-2016 at 09:13 AM. You can simply use a different type of food container, one that has a top on. Not only will make it much difficult for the budgie to throw away the seed, but also keeps them from going inside the bowl and pooping directly onto the food. 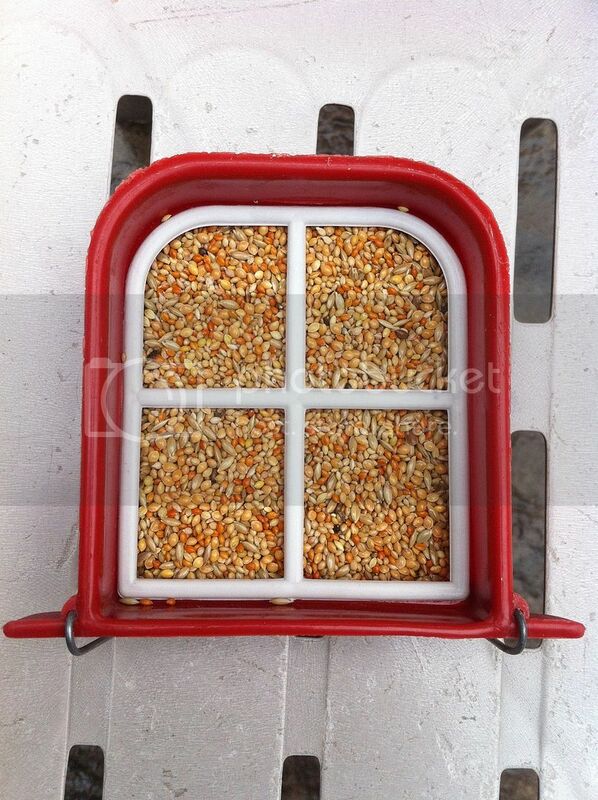 There is minimal waste of food and it's overall more hygienic to keep the top on the food bowl.